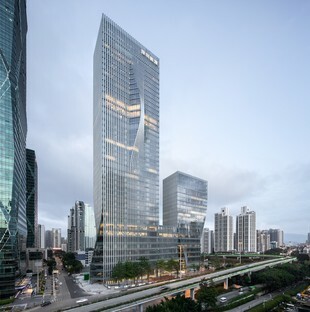 The new headquarters of the Shenzhen Energy Company, comprising 96,000 square meters of offices in the centre of this Chinese metropolis, has been recently completed. The complex is composed by two towers of different heights connected by a podium and is located in one of the main streets of this city’s cultural, political and social centre. The project was signed by the BIG - Bjarke Ingels Group architecture studio, which won the invitation to tender in 2009. The building was named Shenzhen Energy Mansion (SEM). 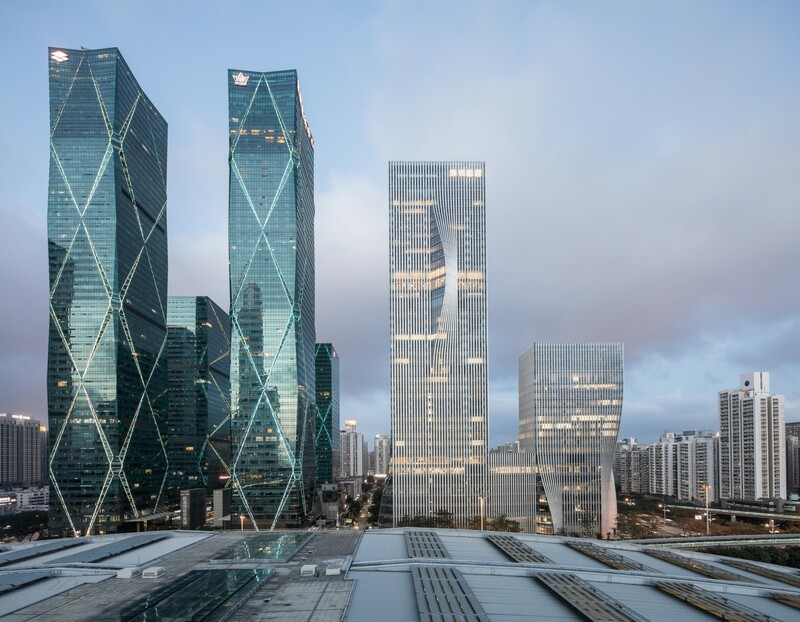 It is the result of a project carried out in full respect of the important constraints defined by the area master plan, which also defined the volumes and heights of the new headquarters of the Shenzhen Energy Company. 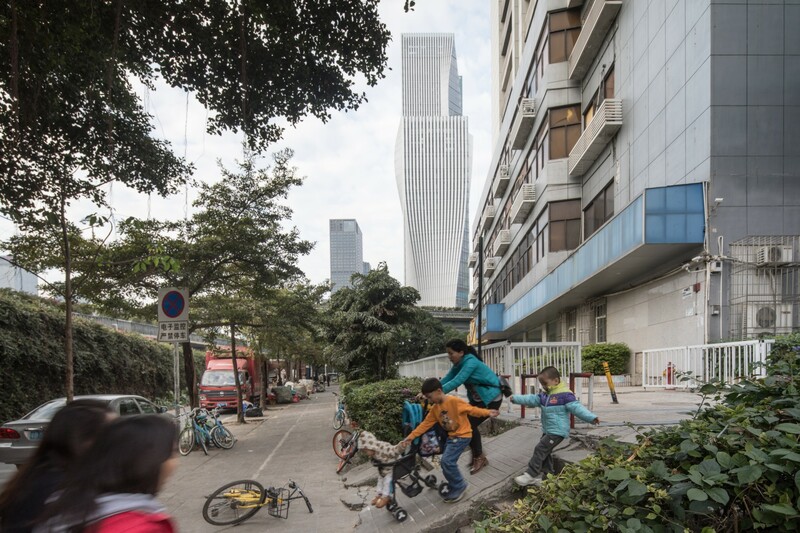 Laurian Ghinitoiu and Chao Zhang’s photo reportage shows the new building in the Shenzhen skyline. 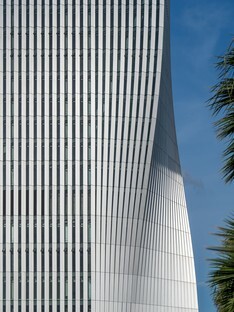 As shown by the images, the elegant silhouette of this building has already become an urban landmark of the city centre. 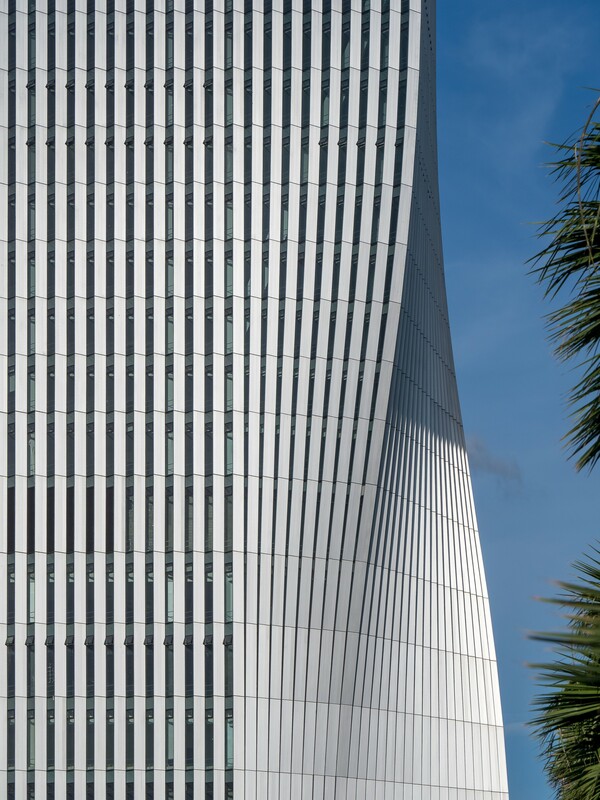 The pleated façade and the slight twists characterising some parts of the two towers make their volume dynamic. 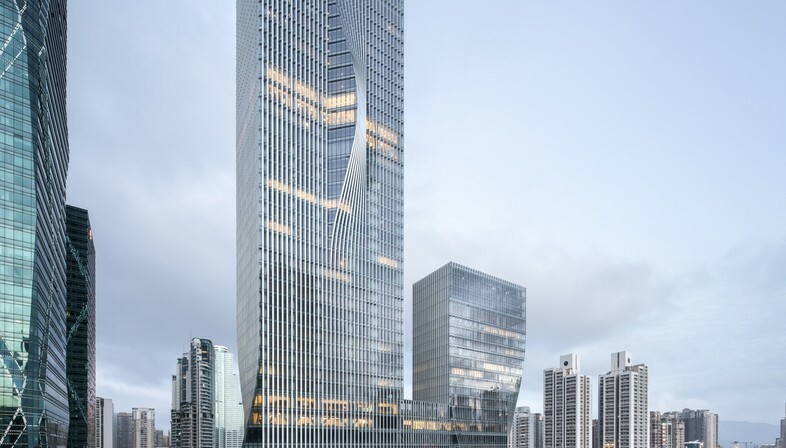 The SEM is composed of two skyscrapers, a north tower and a south tower which top out at 220 and 120 meters respectively, joined by a common podium. 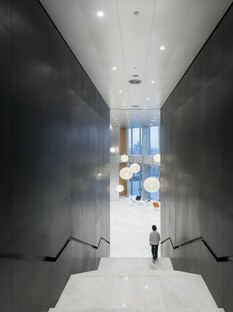 The podium is a 34-metre-tall horizontal parallelepiped housing the public areas, such as the main lobby, a conference centre, a cafeteria, and an exhibition space. 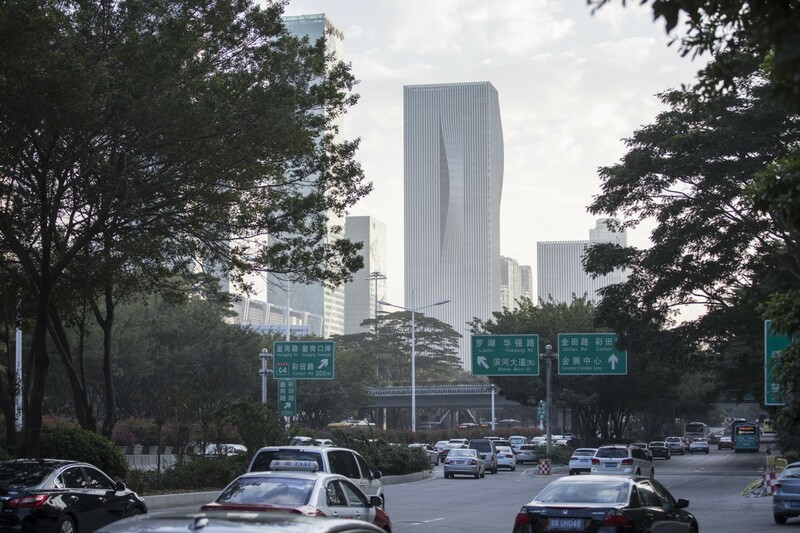 The offices of the Shenzhen Energy Company, instead, are located in the upper floors of the skyscrapers, which offer amazing views on the city. The façade is a distinctive element of the urban context, but also plays an essential role. 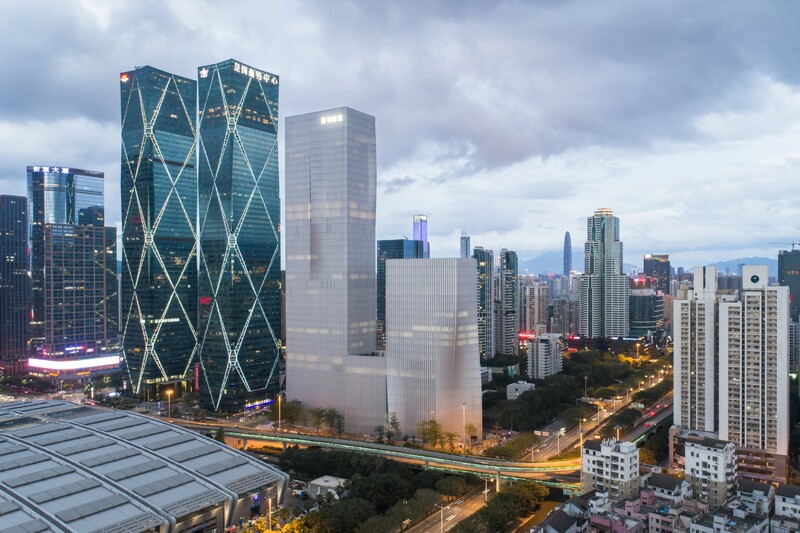 Indeed, this pleated, rippled skin around both towers offers very different solutions as compared to traditional, plain glazed façades, and not just as regards aesthetics. It all started with the architects’ wish to realise sustainable solutions to maximise the energy performance and comfort of the buildings without installing technical systems but, rather, increasing the building thermal inertia, reducing solar glare and maximising natural ventilation with suitable architectural solutions. 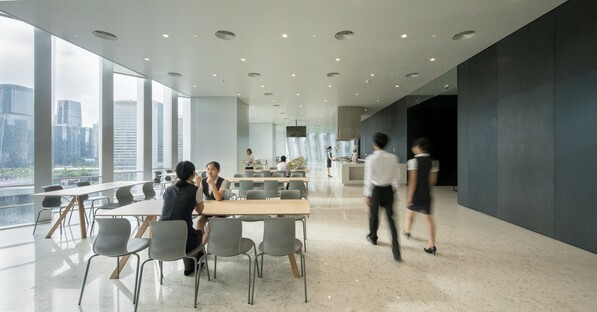 In fact, the pleated façade decreases the solar glare; moreover, by alternating closed and open parts, the buildings are provided with a good level of isolation, while the interiors are provided with abundant natural light thanks to the reflection of sun rays on the internal panels. The panels also invite the observers to admire the fantastic external views.